Improvise to Success! 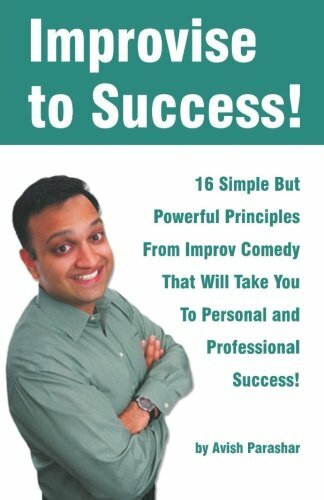 : 16 Simple But Powerful Principles From Improv Comedy That Will Take You to Personal and Professional Success! Face it: the world is amazingly unpredictable. No matter how prepared you are, or how well you plan, things will go wrong, surprises will happen, and people will do unexpected things. The key to achieving success while maintaining your sanity is to learn how to improvise and flow with whatever life sends your way! Whether you are an improv performer, a fan of improv comedy, or have never even seen improv before, you will immensely benefit from learning how to "flow in the moment" with anything that happens to you. Everyone, including you, is improvising every second of every day. Life is not scripted. No matter how much you want things to turn out exactly as planned, life usually has other plans. Life, after all, is the ultimate improvisation. Why everyone is creative, even you! How to say "yes," even when you want to say no.